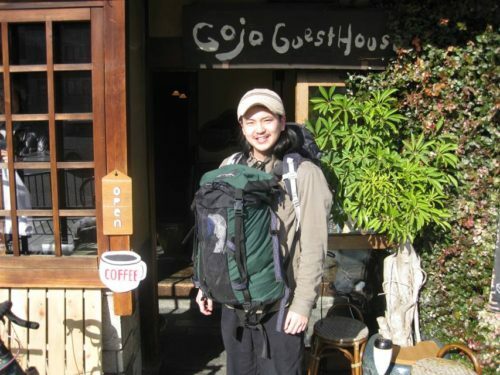 Japanese style Hostel – Gojo Guest House – Accommodation for Backpackers in Kyoto, Japan » Introduce myself. I’m Takuma from Osaka, just call me Taku. I am a new staff having worked in Gojo guesthouse since July last year. I’ve just found a new house in Kyoto and recently I often go out in Kyoto. So I would like to tell you my recommendations. 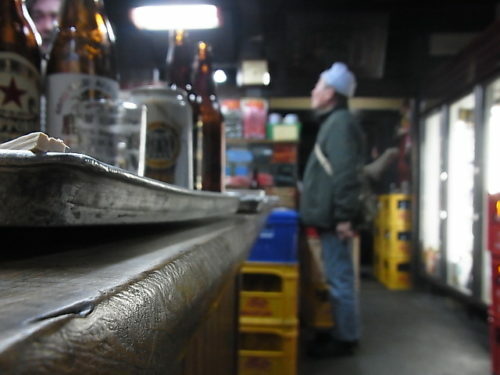 I like the old atmosphere and people and style of drinking in the bottle shop. and put them on your tray and meet and talk with local people. Second one is a Betayaki restaurant called Masa. 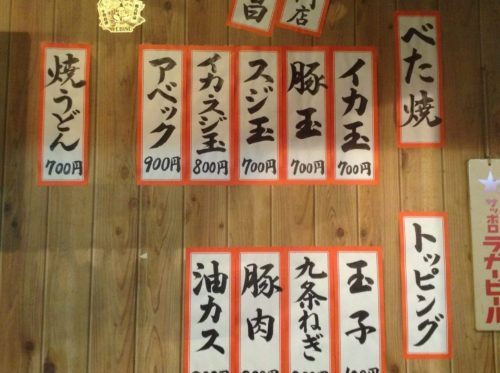 Betayaki is one of traditional foods in Kyoto. 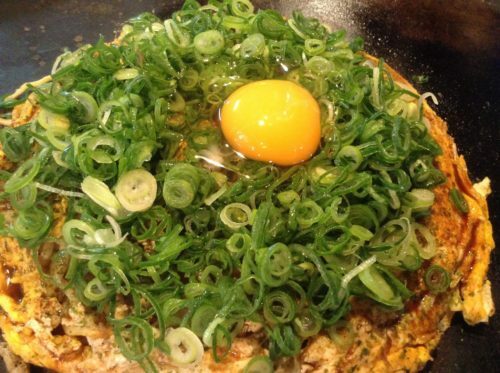 Okonomiyaki and Hiroshimayaki is originally come from Betayaki. The restaurant is small and cosy and quite old.A guy run the restaurant. He has strong passion for Betayaki. He wants you to eat betayaki in a traditional way and want you to know it. So I eat betayaki with a kote(spatula) not chopstick. Third one is just chilling out by the river called Kamogawa in the central. For me, drinking and taking a nap by the river (or walking, cycling) are nice things to do. If you go north along the river, you will see many nature scenery. 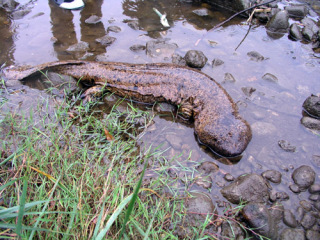 (giannt salamander)which is one of Japanese natural monument. Forth one is going to small towns and villages in low season. I went to a peaceful village called Ohara in Kyoto . 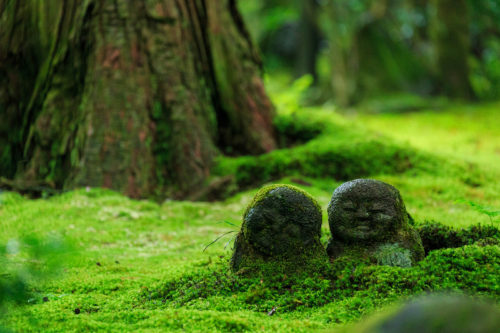 I found a silent water fall and beautiful wooden temple with no paint. And I took a nap next to a field around greens with nice view. I had just chill time and peaceful time. It is imortant to me. Thank you for reading my first writing the blog. Just come and see me.